Discover our different designs - shirts and accessories that stand out with their eye-catching prints. Like the flamebrish or the rhinebronkey we all have more than one side to show the world. Free your mind with a classic thin stripe business shirt that takes you on a journey into the unexpected. Bold, the Eton way: imaginative all-over prints on impeccably cut shirts. Add design — and flair — to your look. Enjoy the menswear trend above all others, in a completely new way. Read more about the whole collection and get inspired. New season, new prints. From our famous all-over prints — the floral print shirt and this year’s metamorphosis or fantasy animal print shirts—to refined business print shirts. Key prints this season include a stripe and floral print, a flamingo ice cream cone print, fantasy animal prints, an avocado print shirt, a dancing roses print (with legs) and a 3D floral print shirt. Subtly sophisticated striped shirts, checked shirts or plaid business shirts in the fresh new colours of the season, created by our design team make a classic, but exciting choice for business and casual shirts. For accessories, the scope is as wide as classic tie patterns and prints — micro floral pattern ties, a paisley tie and a polka dot tie—to the inventive— ties featuring micro print versions of pandas, pineapples and elephant heads. For pocket squares and scarves, we go from classic polka dots to hand-painted animal motifs. For pre-spring and spring 2019, light, bright and printed is the way to elevate menswear.  Eton: the place for prints and patterns.